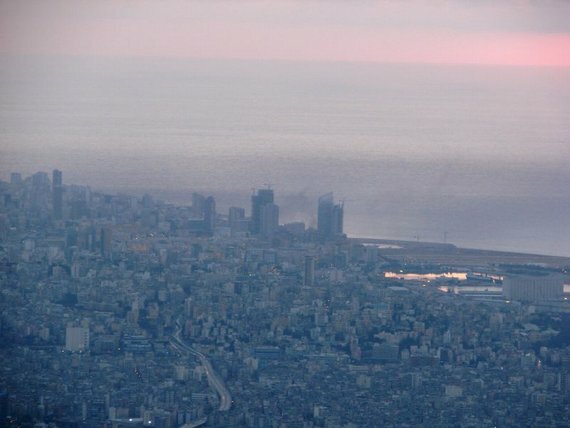 The wind was blowing as morning broke over Beirut. In the kitchen, I poured a glass of milk for our daughter. Firing up the iPhone, there it was: New York Times reporter Anthony Shadid had died on assignment in Syria. He was 43 years old. She shot out of bed, ran to her computer, and a few minutes later was filing a news spot for NPR. About the death of a man she’d sat on a panel with, a guy who’d met her parents, a neighbor of hers in Baghdad, a colleague in the Middle East, and one of the best reporters in the business. He was also a father of a kid our daughter’s age, and one of the main reasons we thought it was a good idea to move to Beirut. In a daze, I put Loretta into fresh clothes and watched Kelly pace the room. Rain came down in sheets. We were late for school, and I loaded Loretta into the stroller. She was right: A new squall was rearing up, water slapping against the pavement, the storm drains overflowing. The kind of day you dread. According to reports, Anthony was allergic to horses. He had asthma. He and photographer Tyler Hicks squeezed through barbed wire on the border with Syria and Turkey. They would be traveling with horses. Anthony had trouble breathing but recovered after resting. Days later, on the way back out of Syria, his lungs apparently gave out. Tyler says he tried for 30 minutes to revive him, but Anthony was dead. There would be an autopsy in Turkey. At my daughter’s school, I held Loretta’s hand, walking in a daze. I was confused to find an administrator waiting for me with open arms. She smiled, clapping me on the back. “Congratulations!” she said. “You should be so proud.” What? Of all the mornings, Loretta had just been accepted into the school’s exclusive kindergarten. In a steady rain, I stood outside, holding the acceptance letter, suddenly bereft. Where did Anthony’s son go to school? The letter in my hand began to turn to mush, and my chest tightened with grief. You could read any one of Anthony Shadid’s recent dispatches and see he was a man who told the story with heart, who did whatever it took to get it right. The Middle East isn’t an easy place to work, and everyone was in agreement: no hands were as deft as Anthony’s. Siting there in my living room, my wife about to cry, I tried to picture his empty shoes, knowing it was just as hard to imagine them ever again being filled. Then Kelly picked up the phone. It was a colleague. They had been in conversation the other day about crossing into Syria. Now what? I shuddered, for his family, for my family, and for everyone else, too. Thank you for writing this. Anthony Shadid’s death affected a lot of people, like me, who never knew him but greatly admired his insight, his courage, and his reporting. Somehow your remembrance spoke for me, as did Tom Medlicott’s response to it. Georgeously written. I really feel this. My condolences.